The Open Up Challenge is a £2.5m technology prize for fintech companies at the forefront of open banking. The Challenge is backed by the Competition & Markets Authority and managed independently by Nesta. It is addressed to the team who are implementing innovative services useful for UK SMEs and developed in order to take advantage from the implementation of PSD2 in the UK that takes things a step further, enabling consumers/SMEs to securely and conveniently share their banking data with third parties. “We are particulary interested in innovative services that allow SMEs to better understand and navigate the world of financial products and to use their financial data in order to manage as well as possible their business” explains Chris Gorst, Challenge Prize Lead at Nesta, interviewed in occasion of his visit to Milan for an event hosted by Fintech District. 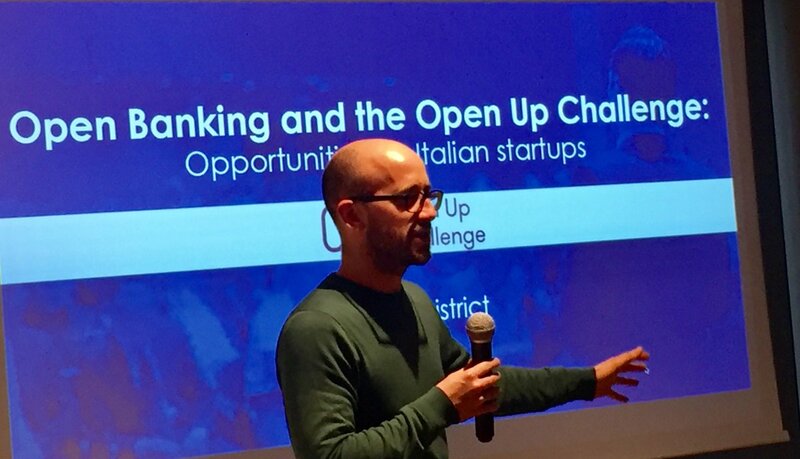 “In UK Open Banking arrived before but We might expect soon a similar evolution in the European Union countries with the PSD2”, for this reason the Open Up Challenge, according to Gorst, “is a good opportunity for Italian fintech startup to experiment an innovative approach to SMEs that they can bring back to Italy or elsewhere”. Working in London, at the same time, means being in a big financial service centre on a global scale and fintech startup have in this city a lot of opportunities to work with large established financial institutions. At the same time, in the same city, as Gorst points out, it’s possible to develop its own economic activity and compete directly with big incumbent financial institution or organisation like TransferWise. In London both these business models can be successful and there are also a lot of Tech companies focused on machine learning and Artificial Intelligence, so, “there is a lot of crossover between these and fintech and I actually think that with open banking – says Gorst – we’ll see even more cross fertilization between these different parts of tech industry”.